Our mission is to maintain Integrity, Intelligence & Perseverance with each and everyone of our clients and their cases. All of our clients are Number One. Since 1991, Mark Wesbrooks of The Wesbrooks Law Firm, P.L.L.C. has represented thousands of clients in the states of Arizona and Texas. 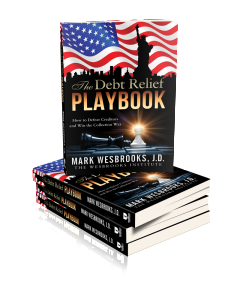 Wesbrooks has been active and experienced in many types of law, recently publishing a top-ranking book on Amazon titled “The Debt Relief Playbook – How to Defeat Creditors and Win the Collection War“. Although Mr. Wesbrooks has extensive knowledge with bankruptcy law, he spends a great part of his practice pursuing civil personal injury and wrongful death claims against responsible parties, which has led to many great successes on behalf of aggrieved clients. Wesbrooks is responsible for a 2016 Top 10 Jury Verdict in Arizona, as well excellent results achieved on behalf numerous other clients. Attorneys at The Wesbrooks Law Firm, P.L.L.C. also represent clients in probate and estate planning matters. Since expanding our Firm to other areas of practice, we have now termed our firm as a Full Service Law Firm. Follow this link to learn more about the legal services that our firm can offer you and your family. 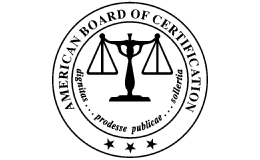 Mark Wesbrooks is Board Certified by the American Board of Certification in the area of Creditor’s Rights Law. 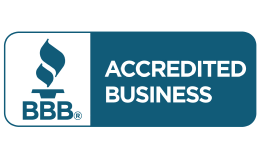 He has been a past sustaining member of the American Bankruptcy Institute, and is licensed to practice in all state courts in Arizona and Texas. He is licensed to practice in the United States District Courts, Northern District of Texas and District of Arizona. 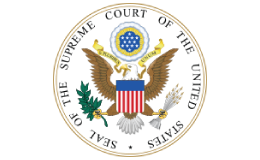 Mr. Wesbrooks is also licensed to practice before the United States Supreme Court, Court of Appeals, Ninth as well as the Fifth Circuit Courts. No matter your specific Attorney needs, The Wesbrooks Law Firm has qualified Attorneys who will fight for your rights. Our firm is well versed in: Accident & Personal Injury, Airline & Transportation Injury, Bankruptcy, Asset Protection, Estate Planning, Wrongful Death, Nursing Home Neglect, Medical Malpractice, Birth Injuries, Products Liability, Workers’ Compensation, Family Law, Probate, Estate Planning, DUI & Criminal and Business Law. Now that you know about us, when it’s time to call an expert in the field of law in Texas or Arizona, contact The Wesbrooks Law Firm, PLLC with offices in Peoria and Scottsdale, Arizona. No matter your location or type of law you require, we will give you the best in service and education. Call us today at (602) 262-4357 or visit our website to fill out our FREE consultation!